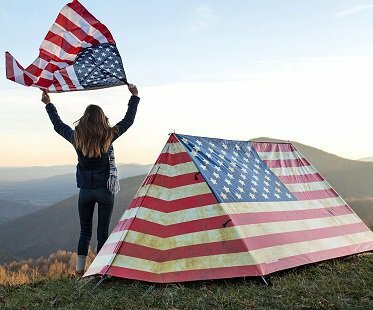 Show off your love for the Star Spangled Banner and camp out in this awesome American flag tent! It takes only 5 minutes to assemble and there's enough space to sleep 2-3 people. When it's not in use you can pack it away in the handy carry bag.